6X was established in 2009. The team specialise in fat loss nutrition and we're passionate about our fitness programming. ​We offer our clients a wide range of services from exercise physiology, personal training, Max8 group training, massage and in-house events. Our boutique gym offers our members a spacious environment with state-of-the-art equipment they require to achieve their weight loss and fitness results. We pride ourselves on the level of professionalism, creativity and care we deliver to our members during every visit. We consider 6X a personal training studio. We have options like classes and swipe key access like the big gyms however our memberships are tailored towards our personal training services and getting our members massive results! So you offer a membership? Yes, our membership option offers the greatest value whether you choose month-to-month or the cheaper 12 month option. Will you write a program for me? We certainly do. Every month we do body composition assessments and fitness testing, it's during these that we assess what your next four weeks requires training-wise and design a program specific for you and your commitment level. If you are using our personal training service we are even more particular in your programming and hold you accountable each week. The classes are limited to 8, won't they be booked out? Our class size is designed to have you train at your best. Our classes require prior registration meaning you have your spot booked up to a week in advance. We allow cancellations until just 3 hours before allowing last minute bookings. If particular class times prove more popular we endeavour to add additional classes to that time slot where possible. Late cancellations for appointments are within 6 hours of the session. Late cancellations for classes are within 3 hours of the session. ​Prepaid: You will lose your class credit. Yes, all members must be 15 years of age. All minors must have a parent or legal guardian sign the terms and conditions as well as their initial lifestyle screen. You're on the right page! Everyone gets started with our 2 week Intro Offer. Included in our intro offer is our Initial Consultation which will have all of your training history, current measurements and goals assessed to write up three programs, including a weekly plan, weights program and nutrition plan. This is a thorough 1 hour process and ideally done as your very first visit with us. How much does it cost after the intro offer? We offer many services and payment methods. Everyone at 6X has a tailored program with their personal trainer and so the pricing options also vary. We highly recommend speaking with your trainer first to discuss which pricing method will best suit your goals. The new 6X wearables are here. 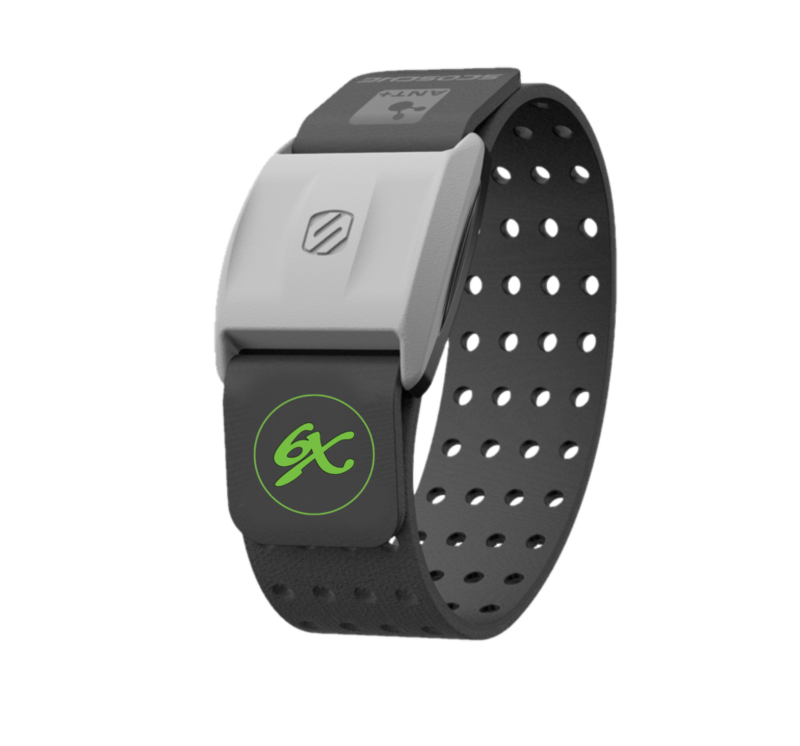 Our new heart rate monitors are available in a new and 'more' comfortable arm band. Each store up to 16 hours of exercise when away from the studio and live stream to the studio displays. James is a highly motivated and enthusiastic trainer. With a large sporting background, James has represented in football, basketball and recently in bodybuilding, where he placed second in INBA Junior Mens natural bodybuilding, and has been selected to compete in Open Mens natural bodybuilding later this year. He has an extensive knowledge in muscle and strength gains, supplementation, body sculpting and bodybuilding as well as rehabilitation, nutrition and massage therapy. Train with James and experience an amazing training journey to attain results you've always dreamed of. Brad was first qualified as a personal trainer in 2005 and has since never considered a life outside the fitness industry. Brad loves seeing people reach their dreams and as simple as fat loss and fitness goals may seem, the life experiences that his clients have had following their weight loss proves again and again the effect Brad has on every single person that trains with him. He's done most of it... City2Surf, half marathons, 42km marathons, triathlons, team ironmans, ocean swims, surf lifesaving, taekwondo, mud runs, obstacle racing and adventure races... "There's still more to come"! Don’t be surprised if you see Kayne dancing every now and then (you are more than welcome to join him) as he loves to create a fun environment. He has many hobbies that include; cooking (secretly terrible at it), being adventurous, meeting new people and reading. Kayne also enjoys stepping outside of his comfort zone, this is what brought him over to Sydney from New Zealand. He believes movement is the key to enjoying life and preventing injuries in the future. Are you ready to be moved? Rachel comes all the way from Canberra, with a strong passion for sport and a healthy lifestyle. From achievements in Netball to winning gold medals at the Dragon Boating World Championships in Hong Kong, you name it, she’s done it! Rach is now an accredited EP after completing a Bachelor of Exercise Physiology at UNSW. She is passionate about living an active lifestyle, and loves to move her body every single day. Whether that be strolling on the treadmill in her breaks between clients or forcing all staff members to endure an intense cardio training session with her, she’s always up for some exercise! As well as exercising, Rachel enjoys going to the beach, going out for brunch and coffee, seeing movies, and cooking! Rach’s goal for this year is to run the Sydney Half Marathon in May with an even bigger goal to announce after that. David has over four years’ experience running his own business of group exercise and personal training in Ireland and is keen to help others through health and fitness. His own motto “Small steps, Big changes” reflects his believes that everyone can reach their own personal goal when it is broken down into smaller targets. David enjoys team training such as Gaelic sports and strength training. As a highly motivated coach he wants his clients to always be positive towards exercise and to look at a total lifestyle when it comes to achieving goals. David wants to compete in adventure challenges across Australia. Gellert has been into team sports and martial arts since a young age. He started weight training seriously at the age of 17 which soon after turned into his passion. He is a big believer of sticking to the basics in the gym and using perfect form at all times. Gellert recently spent 5 months in Thailand training in Muay Thai which he then competed in. In the future Gellert is looking forward to one day travelling the world. HOW do our members RATE US?